For the population aged less than 65 years, the rate for the uninsured population was more than three times that for persons with public insurance. In 2012, 83.1% of people under age 65 had health insurance. 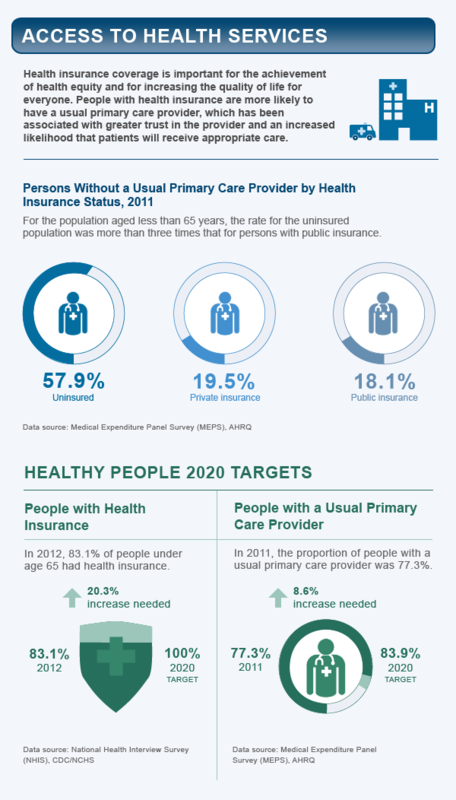 In 2011, the proportion of people with a usual primary care provider was 77.3%.